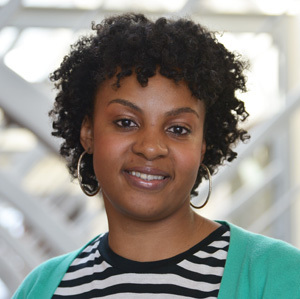 Mia Hines is an Academic Advisor at the Neag School of Education at the University of Connecticut. Prior to coming to Neag, Mia has worked as a high school counselor in Maryland and North Carolina, where she has an extensive background in developing College and Career Readiness programs that assist students with matriculating through college. In addition, Mia has worked on school administration teams in an effort to support classroom teachers. Mia supports Neag’s efforts to advise, recruit, support and mentor pre-education undergraduate and graduate students. Mia is an advisor of Teacher Education Student Association (TESA) within the Neag School of Education in which, Integrated Bachelor’s/Master’s students participate in social and professional development to enhance their transition towards a teaching career. Also, Mia is a member of Leadership in Diversity (LID), a student organization with a focus on supporting retention and increasing diversity in education.